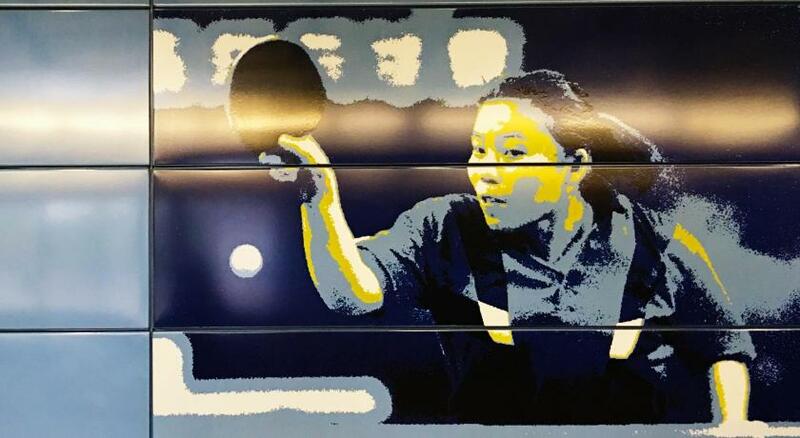 The hardware is not 5-star (but you know what you pay for) but the staff definitely are. 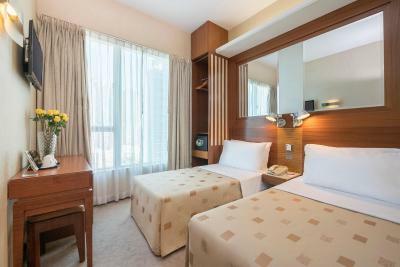 Having spent on and off 19 nights at the hotel in a month, I find the quality of service very good and consistent, amd will definitely stay there again. 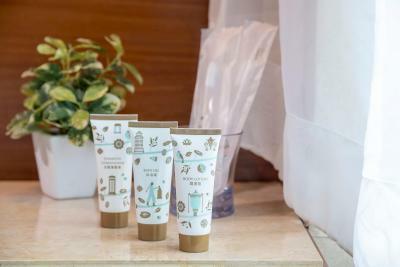 Tai Kok Tsui, the location of the hotel, is an up and coming area in Kowloon, with a lot of new properties and a huge number of dining options. Some may find part of the area a bit old and too local but mind you, is it any worse than some neighbourhoods in Paris or Bangkok? The good thing about Hong Kong is it is a safe city at any time of the day. Location is near MTR Olympic Station. Staffs are friendly and attentive. Near Olympic MTR and Mong Kok MTR so convenient for public transportation. The mobile hotspot is very convenient and really helps a lot in Hong Kong. 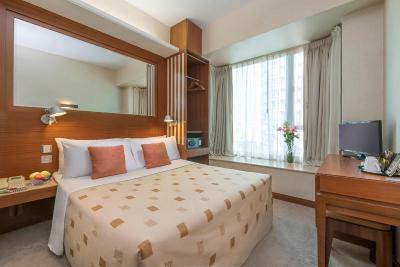 Just minutes from MTR station... Easy access to and from airport. 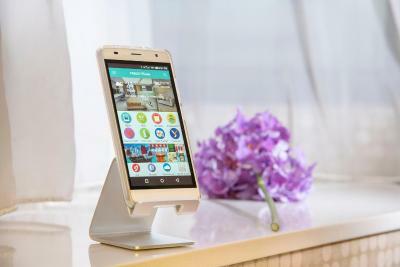 The room came with a free local smartphone that can be used as a hot spot for your device. The building was nice and shower was great. The location of the property is good next to Metro stop. 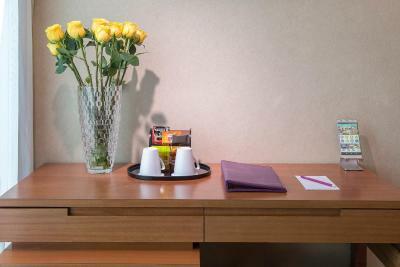 The staff was helpful & the room was clean. 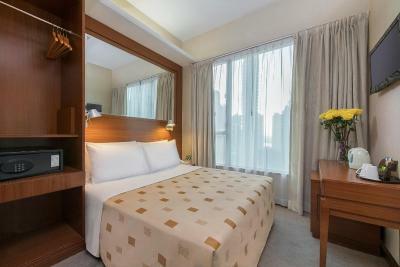 Decent room with good view in a good location. 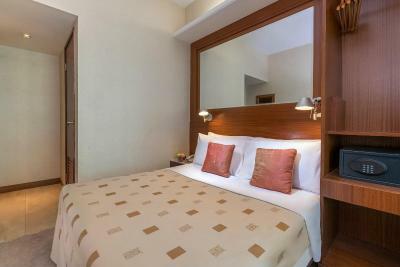 Room was spacious enough and the bed was big and relatively comfortable. 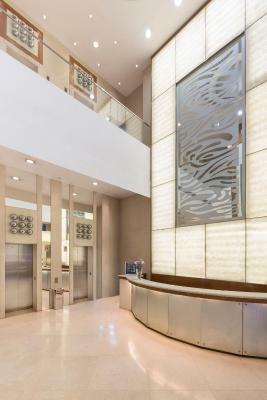 The amenities provided were what would be expected of such a property. The location was not bad either, with the hotel being about a 10 min walk to the Mong Kok MTR stop, and close to Olympic station as well. The staff was great as well. The hotel room is clean. 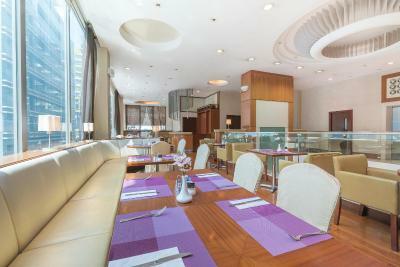 The hotel surrounding area also has many restaurants and convenient stores, which can be accessed by walking. We were the party of two and booked a twin bedroom. It was clean enough and the a/c worked fine. The water pressure was nice so we were able to have a nice shower. The staff were helpful and friendly. To Mongkok it was only about 8 min walk and to Olympic Station even closer. To take a train to the airport was real easy. 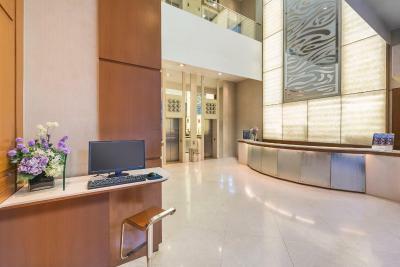 Silka West Kowloon Hotel This rating is a reflection of how the property compares to the industry standard when it comes to price, facilities and services available. It's based on a self-evaluation by the property. Use this rating to help choose your stay! 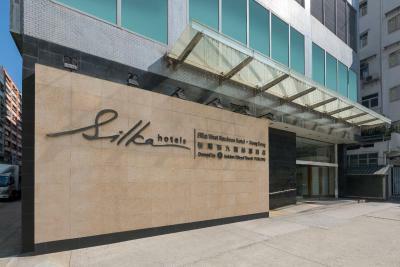 Located in Tai Kok Tsui District, Silka West Kowloon Hotel offers a free shuttle service to Mongkok and free Wi-Fi. It features a café with views of Hongkong Harbor. 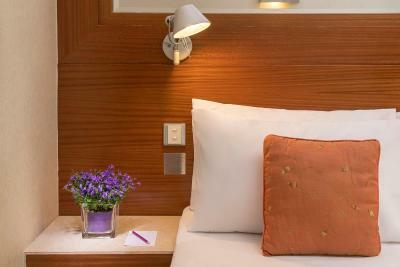 Cozy guestrooms feature a stylish interior, flat-screen satellite TV and mini-bar. 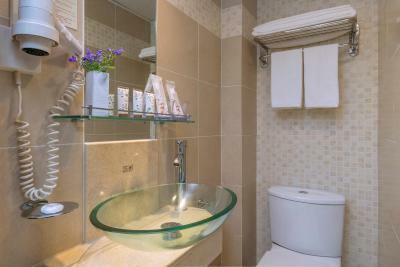 Each room has a private bathroom with shower. 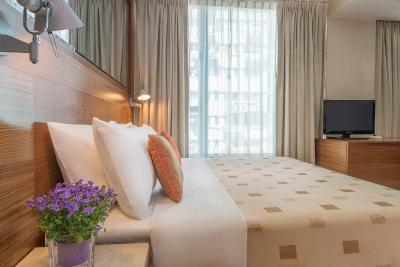 When would you like to stay at Silka West Kowloon Hotel? Room has a personal safe, a fridge and satellite television. 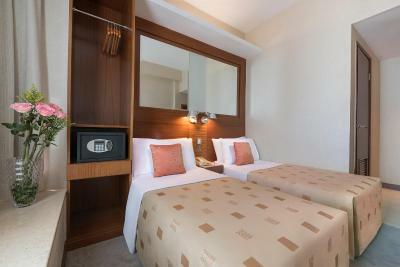 The rooms are located on the lower floors of the hotel. Room has a personal safe, a fridge and satellite television. 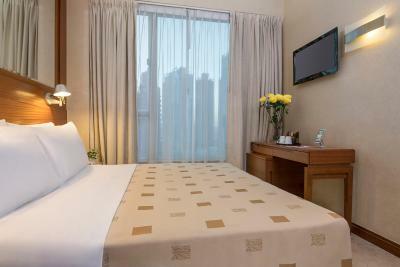 The rooms are located on the higher floors of the hotel. 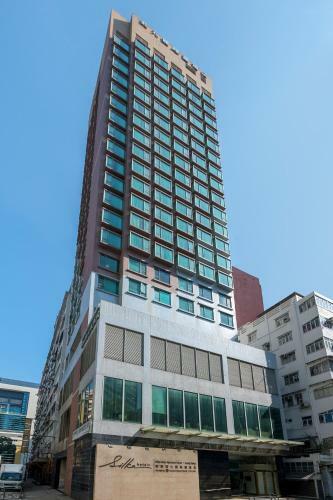 8 minutes drive to Mong Kok East Train Station, 10 minutes away from the China Hong Kong Ferry Terminal and within close proximity to the vibrant district of Tsim Sha Tsui. 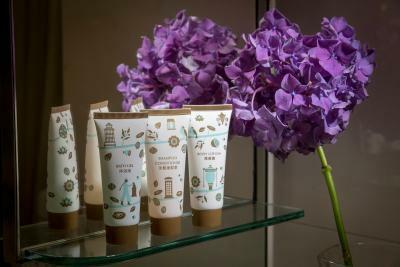 House Rules Silka West Kowloon Hotel takes special requests – add in the next step! Silka West Kowloon Hotel accepts these cards and reserves the right to temporarily hold an amount prior to arrival. Complimentary use of smartphone with 4G internet access, unlimited local calls and international calls to selected countries. 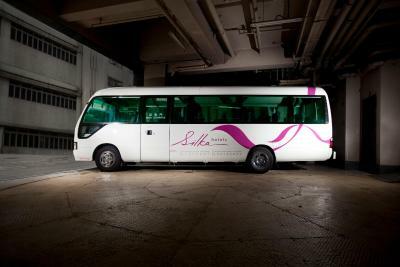 Free in-town shuttle bus is provided by Hotel. 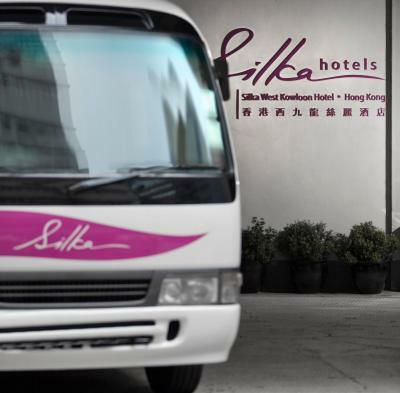 Departure Route: From Silka West Kowloon Hotel (46-48 Anchor Street,Tai Kok Tsui) -> Langham Place (Mongkok) -> Silka Seaview Hotel -> Airport Express Kowloon Station -> Silka West Kowloon Hotel. 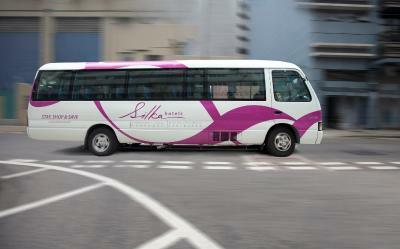 The service starts from 08:00 to 22:00 and runs at a 1-hour interval. 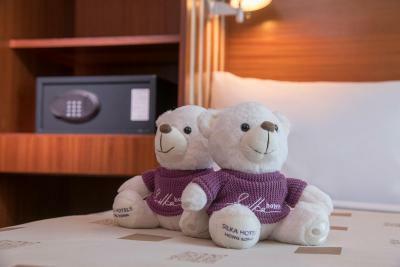 For detailed timetable, please check with the hotel's concierge. A damage deposit of HKD 300 is required upon arrival – that's about 38.25USD. This deposit is fully refundable at check-out as long as there's been no damage to the property. Early morning wake up by the cleaner's sound outside our room or they will just knock our door asking for cleaning. House keeper was talking loudly at out of the room in the mornings. All other stuff are smiling and helpful Hotel is located, near of the olympic station. The rooms are a bit dated and need to be upgarded. Given the high occupancy, I can't see when this can be done?! 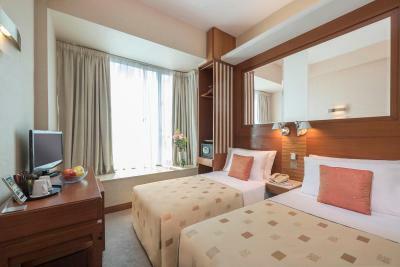 The rooms are typical Hong Kong sizes, can’t fit anything in the rooms, the picture on website is deceiving, you can’t use the toilet literally no space for anything even your self. Great location. 10 mins walk from Mong kok. High level floors, and free smartphone available. Second time to check in, the staff made a mistake to provide us only one room since we have made reservation through different channels at first, otherwise the service is quite good.